You are invited to use the Phenology Observation Portal to download customized datasets of observational data from the National Phenology Database, which includes phenology data collected via the Nature's Notebook phenology program (2009-present for the United States), and additional integrated datasets, such as historical lilac and honeysuckle data (1955-present). Filters are available to specify dates, regions, species and phenophases of interest. 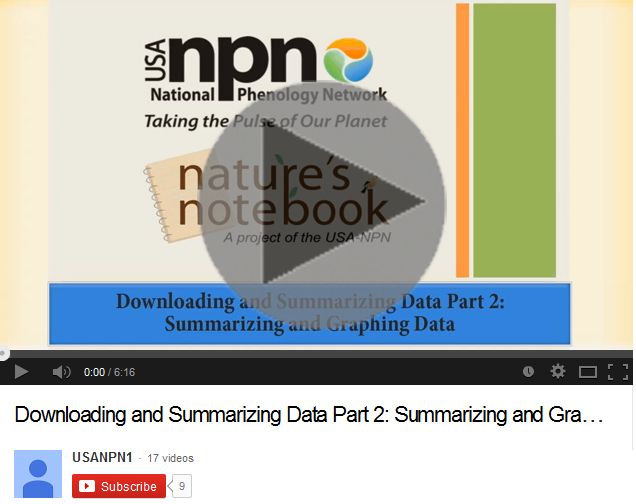 Find current summary metrics of the data found in the National Phenology Database on the USA-NPN Data Dashboard. How are you using USA-NPN data? Let us know how you've used phenology data for science, management or exploration. Feel free to include feedback on the data, and this download tool.